For years, LG has been releasing its flagship smartphones under its G-series branding. The South Korean company is now filling out the series with midrange devices like the G7 Fit, which is the focus of our review. The device is not aimed at fitness fanatics either but rather at buyers who want a stylish smartphone with some of the features from flagship devices without having to spend so much money. Read on to find out how well this approach works and how the G7 Fit fares against its competitors. The LG G7 Fit is fit and it knows it. 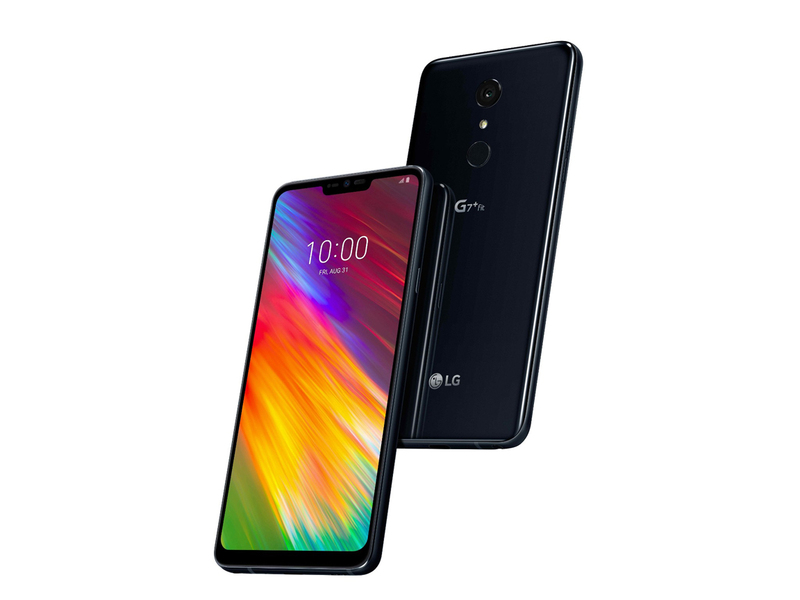 It’s a touch above the slew of mid-range handsets out at the moment and comes with a number of features that can be found on the premium LG G7 ThinQ, all in a package that’s a little more budget friendly. We’re not sure this budget/premium hybrid will quite work for all but the corners that have been cut aren’t too noticeable. Oh, and we still don’t get why it’s called Fit. Positive: Beautiful design; nice display; decent hardware. Negative: Short battery life. 80% Review: LG G7 Fit – prima smartphone, maar voor wie? Positive: Nice AI cameras; great display; beautiful design; support waterproof IP68. Negative: Short battery life; old processor. 65% Recenzja LG G7 fit – czy to średniak, który tylko udaje, że ma coś wspólnego z flagowcem? Positive: Excellent speakers; nice cameras; elegant design; fast fingerprint sensor. Negative: Short battery life. Positive: Great display; decent speakers; nice main camera; fast charging. Negative: Glass case; low autonomy; weak processor. Positive: Good price; stylish design; excellent speakers; nice display. Model: The LG G7 Fit is a smartphone which has an affordable price tag. With this smartphone, LG wants to bring an affordable middle class that combines top performance with functions that are also present at their own flagships. 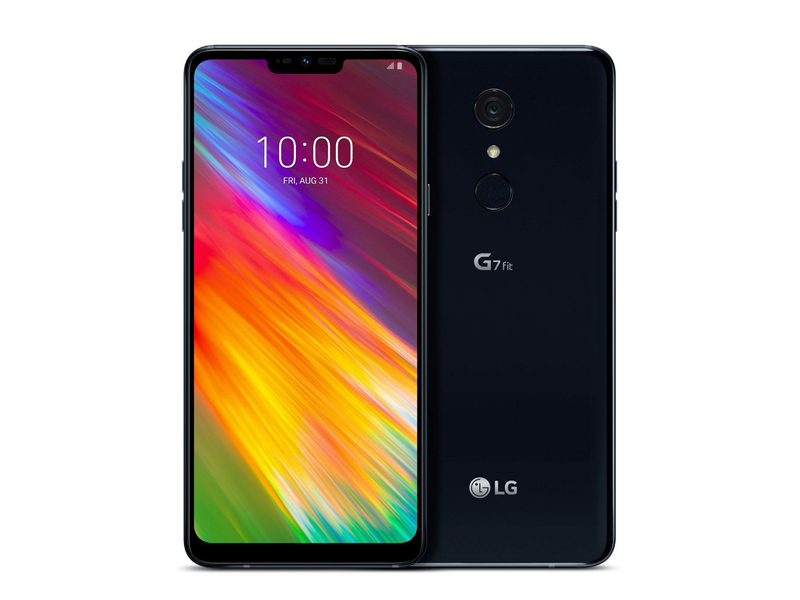 The LG G7 Fit is only available in the LG Aurora Black version, which is black with a blue appearance. The back consists of glass, which is a magnet for fingerprints and makes the device also very slippery. With many smartphones, the volume buttons are above the power button, but LG has separated them. The power button is in a familiar place on the right, and the volume buttons on the left. A nice addition is the IP68 rating, making the device dust and watertight. The LG G7 Fit is equipped with a 6.1-inch LCD screen, with a 19.5:9 display ratio. There is a notch on top of the screen. In this notch, the selfie camera, speaker and notification slot are hidden. On top of that, there is still enough space to receive several notifications. If users are not such fans of the notch, they can also disable it in the settings. The rear camera of the smartphone is a 16-megapixel camera with a diaphragm of f/2.2. A user can switch to AI Cam, which can recognize up to 19 different situations, such as flowers, food, computers, pets, buildings and so on. The camera itself will adapt the colors and filters to the environment and the object users want to take a picture of. At the front, a user will find the 8-megapixel selfie camera with a wide-angle lens. Thanks to the Quad HD+ resolution, which is the standard resolution for flagships, everything on the screen looks very sharp. In the settings, users can indicate which resolution they want to use, useful to save the battery. They can easily adjust the resolution to Full HD (2,340 x 1,080 pixels). The LCD screen has beautiful, true-to-life colors with good contrast. The screen is also clearly visible from every angle. Under the bonnet of the LG G7 Fit, the Qualcomm Snapdragon 821 is clocked with 4 cores at 2.35 GHz. In daily use, this processor is certainly powerful enough to perform most tasks smoothly. The apps open quickly and the animations within the software run smoothly. The device has 32 GB internal memory. The software of the LG G7 Fit takes up half of that memory, so users still have about 15 GB of memory to store apps, photos or videos. Fortunately, the memory can be expanded via microSD card to a maximum of 2 terabytes. The LG G7 Fit has a fingerprint scanner at the back of the device. This is easily accessible. The scanner also reacts very smoothly and works accurately. The LG G7 Fit has a battery capacity of 3,000 mAh, which is not very high. The beautiful screen and the less energy-efficient processor are detrimental to battery consumption. Although most smartphones drop the 3.5 mm audio connection, LG is just focusing on this. Just like the flagships of LG, this G7 Fit also has HiFi Quad DAC. As a conclusion, the LG G7 Fit is a nice device for the price. It is targeting customers that are interested specifically in high-end camera, display and audio features at a more competitive price point. 70.37%: This rating is bad. Most notebooks are better rated. This is not a recommendation for purchase.